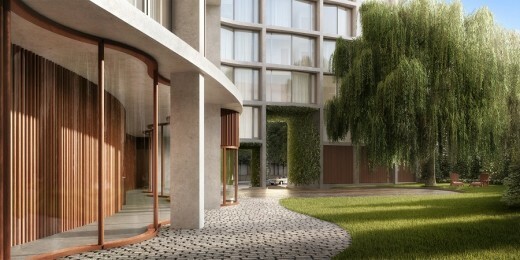 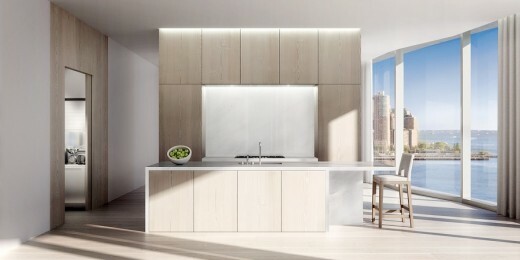 New images released of the latest project in New York by Swiss architects studio Herzog & de Meuron. 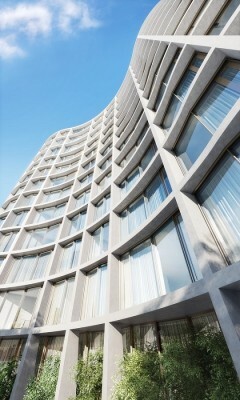 The 12-story condominium building at 160 Leroy Street has a curved concrete and glass facade. 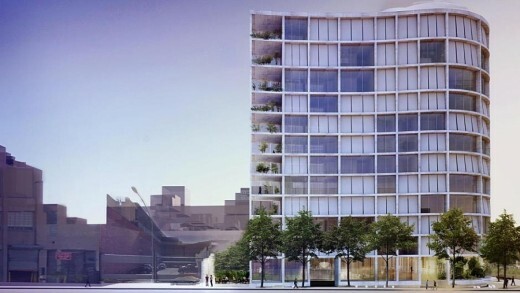 Featuring 49 luxury apartments, 160 Leroy Street is the latest in a series of developments which will upgrade Manhattan’s West side, after former mayor Michael Bloomberg designated the area as the city’s new ‘Gold Coast’. 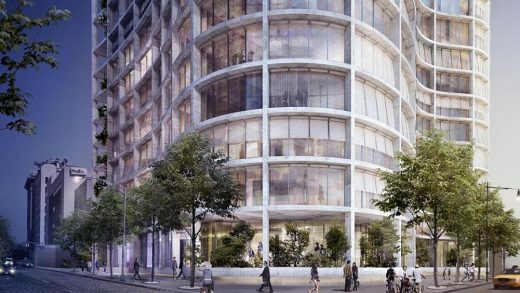 The $250 m project is due to complete in Fall 2016. 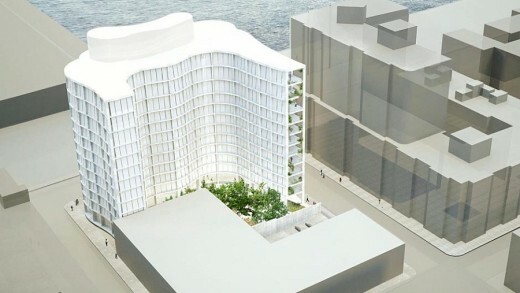 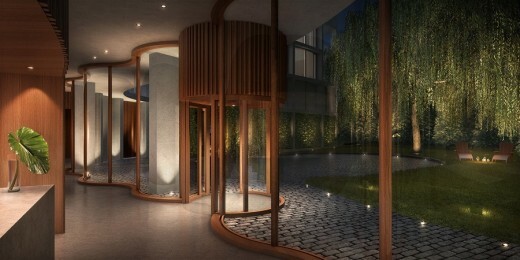 “It will be apparent when Ian Schrager’s 160 Leroy building rises out of the ground that it was inspired by the philosophy of the great Brazilian architect Oscar Niemeyer—which Pritzker Prize winning architects Herzog & de Meuron used as a starting point in conceiving this original, new iconic structure,” says the developer. 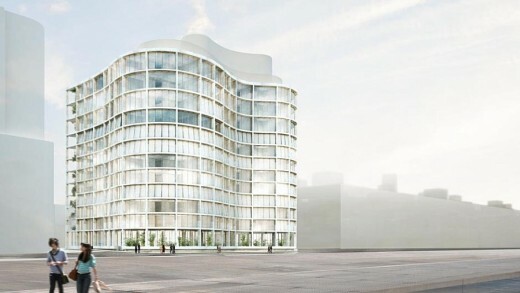 The project is their third major New York building in recent years, following another condo building at 56 Leonard Street and a hotel at 215 Chrystie Street, and once again features a concrete structure which is clearly expressed on the facade. 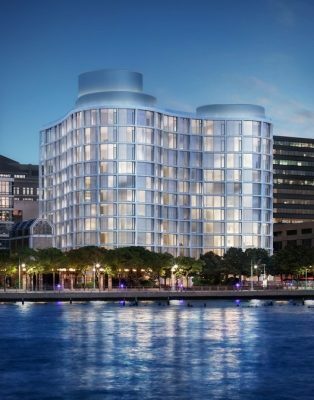 The double-curved waterside frontage is reminiscent of two recent silo-conversion schemes in Copenhagen.